It’s always great to have some variety – we’re talking about flared jeans. 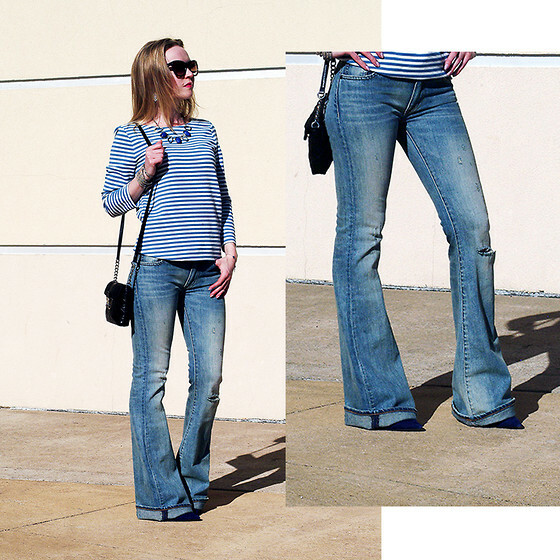 Some gals don’t really fancy the hell out of these bell bottoms because it makes them look like a wannabe hippie. We understand that dilemma. Not all of us would want to look like one at all. 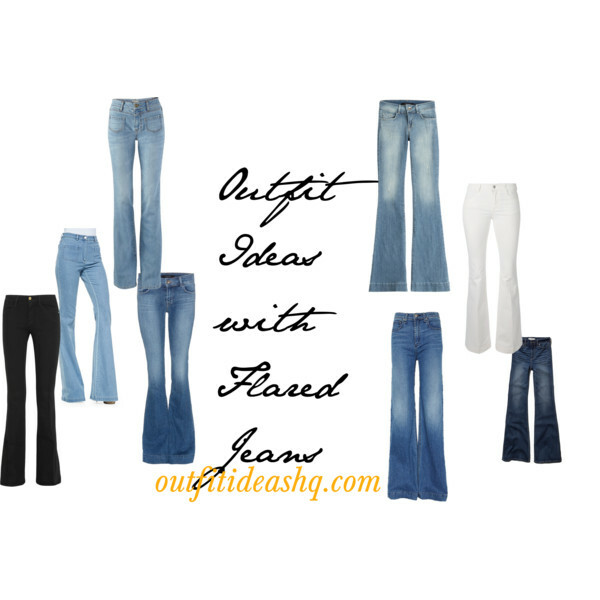 But since it’s such a huge trend this spring, we’ve gathered some really awesome outfit ideas with flared jeans that will not make you look even a tiny bit hippie. Flare gives an illusion of length and height without making the fabric drag around the ground. It will only make you shorter and frayed hem of bell bottoms aren’t really a great look. It’s a rule that flares should definitely be longer because wearing shorter ones would look kind of weird. A nice structured top could instantly pull things together sometimes. You try out the all-black outfit and all-white outfit for bold. Go vintage-y in flares like sporting a kind of chic city look with a huge cape with belt around the middle, boots and a floppy hat. A slouchy or oversized knit can look very chic but just make sure it doesn’t exceed your thighs. You can easily add a bit of shape into your look by tucking it in, but having your shapes undefined gives a slightly cool yet undone outfit. Don’t be afraid of wearing pointed-toe shoes with your flared jeans, whether it’s a high heel, flats or boots. You know, high-waist is very 70s, but it’s also very flattering. That structure will easily balance the flares at the bottom. You can easily tuck in whatever top you have to help accentuate your waist and maybe pair them with high heels. 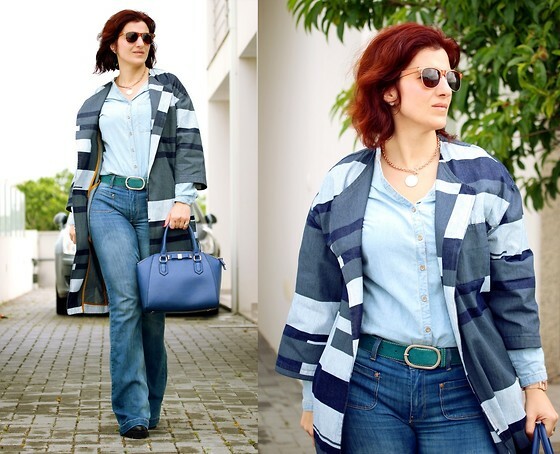 Wearing leather and jeans – it’s one of the easiest combinations when it comes to wearing skinny jeans but when you wear it with flares, it almost looks fresh and new enough. It’s something like looking lazy but with a made-up cool outfit.